Thanks to the homie iLLvibe, Cee will be part of the crazy lineup hitting the stage on Friday June 20th for the second annual HollaPalooza in Toronto! 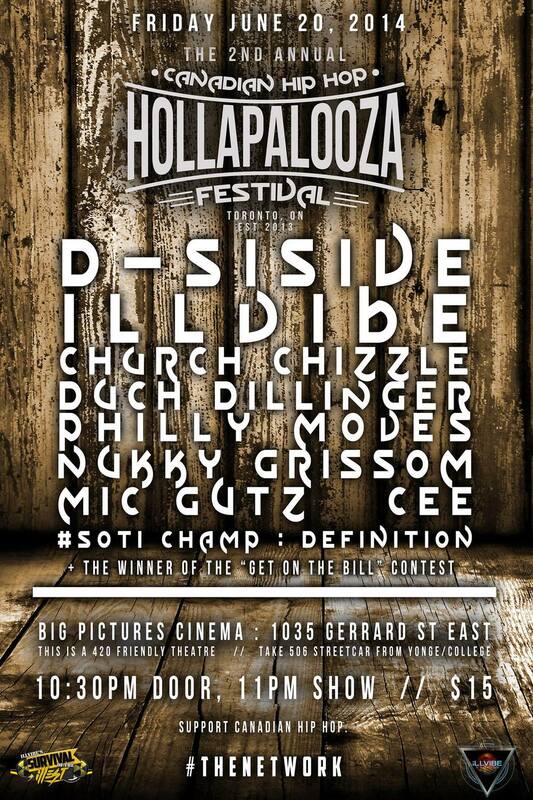 Cee, Notion and Dr. MaD did it up proper at HollaPalooza Montreal in 2013, so this gonna be a dope event. Check the line up and details over at the Facebook event page, and we'll cop y'all there!